Gain new skills and improve the level of safety within your business by taking a course at our fully equipped practical and classroom-based training school in Newcastle. These courses reflect the vast experience of UK Commercial Cleaning and our approved instructors. Extraction and Ducting (BESA Compliant) – this one-day course covers practical learning on the cleaning of filters, extractors, rotating fans, ducts and backsplashes using the correct equipment and chemicals in accordance with regulations. Theoretical topics including basic food hygiene, use of various apparatus and BESA TR19 standards are also covered. Industrial Cleaning Course – delivered over four days, this course provides learners with practical skills on the professional cleaning of kitchen and extractors, windows, gutters, drains and deep cleaning. Theoretical Health and Safety, PPE, use of industrial machines, pricing of work, risk assessments and method statements. COSHH & equipment knowledge is also provided. Kitchen Cleaning Training (BESA Compliant) – this two-day course will ensure that all chefs, managers, porters and cleaners are fully equipped to keep everything spotlessly clean and compliant with food hygiene regulations. Regardless as to your role or the size of your kitchen, our approved and experienced trainers will make sure you have the practical and theoretical knowledge to pass your next inspection with flying colours. Window Cleaning – our instructors are time-served window cleaners with expert knowledge on all aspects of the job and in this one-day course they go beyond the old ladders and buckets routine to get into the science behind consistently streak-free windows. The course includes a combination of practical training on water-fed pole systems, with information on reverse osmosis, total diluted solids meters, the water hardness map and all relevant health and safety aspects. 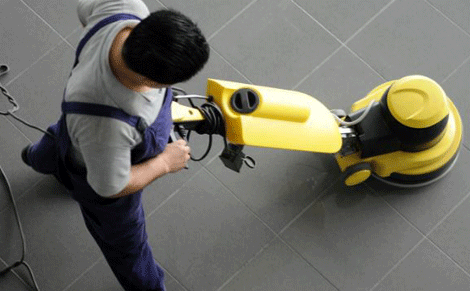 UK Commercial Cleaning delivers window cleaning at thousands of sites each month, so put your trust in the experts. Our competitively-priced courses run throughout the year. Check our Cleaning Courses page for the dates and book today!